CBNLT is a subsidiary of EarthSource Solutions, Inc. EarthSource Solutions has been is a provider of broad-based environmental credits and permit liability solutions in Virginia since November of 2010. In response to the increase in public and governmental interest in improving the water quality of the Bay, ESS founded Chesapeake Bay Nutrient Land Trust, LLC (CBNLT) in August of 2006. Through the combined resources of CBNLT and ESS, we provide land use planning that will reduce nutrient loads and generate offsets, creating a “safe harbor” for our client’s development projects. In September of 2008, CBNLT became the first private entity in Virginia to generate non-point source nutrient credits. These credits are created through an existing Virginia Department of Environmental Quality (DEQ) program, certified by both DEQ and DCR, and used to provide water quality compensation for authorized nutrient inputs into the Bay tributaries. The first credit generating facility known as Wildwood Farms services the James River and its tributaries per current DEQ and DCR regulations and guidance. During the 2009 legislative session CBNLT and Delegate Watkins-Abbitt of the 59th District co-sponsored House Bill 2168 (HB2168) an official non-point nutrient credit legislative bill to solidify the viability of non-point nutrient offsets. 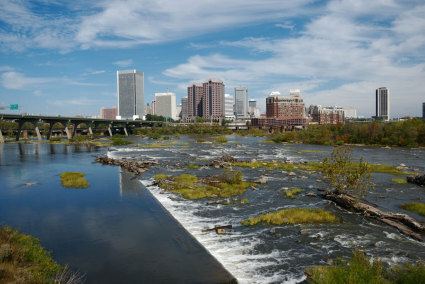 This bill became effective on July 1, 2009 and its associated guidance was approved by the Virginia Soil and Water Conservation Board on July 23, 2009. This legislation provided permit issuing authorities with the clear legal authority to use offsets as a method to reduce nutrient pollution from permitted stormwater impacts. In 2010, CBNLT then followed up (HB2168) with Senate Bill 627 (SB627) which clarified who received the nutrient reduction credits associated with the storm water nutrient offset. In theory it allowed non-point nutrient credit generating facilities to act as a form of banking and to function the same way that wetland and stream mitigation banking have for years. This bill also clarified the functionality of a non-point nutrient credits within a municipal separate storm sewer systems or (MS4). MS4 regulated localities could now use non-point nutrient credits towards their Total Maximum Daily Load (TMDL) nutrient allocation. As with most innovative ideas nutrient credits proved difficult to implement. 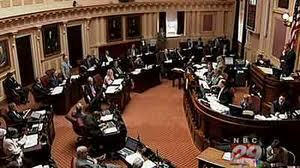 So during the 2011 legislative session CBNLT sponsored Senate Bill 1099 (SB1099). Senate Bill 1099 was constructed to address three major concerns. These concerns are as follows. SB1099 removed some the burdensome procedural requirements for land disturbing activities of less than 5 acres and those with a phosphorous compliance requirement of 10 pounds or less, while at the same time addressing the concerns of localities for local water quality. Now any project within the Chesapeake Bay Watershed that fit this criteria had the ability to use non-point nutrient credits to help meet their projects water quality standards. SB1099 also provided non-point nutrient credits with some expanded opportunities within the private market. These expanded opportunities include clear authority: (1) for use in enforcement actions to account for temporary or permanent nutrient deficiencies, and (2) to allow the substitution of Non-point Nutrient credits for current practices when they fall below the thresholds for “direct use” or where existing practices are not attaining the expected nutrient reductions. SB 1099 addresses these concerns by prioritizing options that are the most vetted and which are implemented prior to the land disturbance. In order to dramatically reduce nutrient loading to the Bay and achieve the ambitious goals set forth by the TMDL, it is imperative to support the use of those options that provide on-the-ground nutrient reductions now, not at some uncertain time in the future. It will be just as critical to the successful clean up of the Bay to harness the financial resources, expertise and innovation of the private sector rather than continue to allow arbitrary denial and delayed implementation of effective nutrient reduction measures such as nutrient offsets. Currently CBNLT has approximately 100 pounds of DEQ and DCR approved phosphorus credits available for transfer within the James River watershed from its Wildwood Farm project, with an additional 750 pounds of phosphorus credits from our Cranstons Mill Pond Project. If you would like to inquire about the use offsets for any of your projects, please feel free contact our office. CBNLT has the ability to guide you throughout the entire permitting and approval process, which begins at the site design stage of development. We appreciate the time you have taken to visit our website. if you would like more information feel free to contact us at information.